DIY: Lawn Repair 101 - How to Fix Bare Spots - GNH Lumber Co. DIY: Lawn Repair 101 - How to Fix Bare Spots - GNH Lumber Co.
Ahhh! A lush lawn of perfect green! It’s what we all dream about when it’s summertime. The soft, rolling green backdrop to our cookouts, ballgames, BBQs and entertaining. That said, if you have a lawn with bald or bare spots, it can be frustrating to diagnose and fix. Do I Need Lawn Repair? It’s not uncommon to encounter bare spots at some point or another throughout the summer season. Take heart! There are easy ways to diagnose and repair these unsightly patches of yellow, brown and beige, and restore your lawn to its true GREEN GLORY. Depending on the type of damage, there are different solutions to your lawn’s bare spots. However, most involve adding new grass seed, lawn food and water (see steps below). 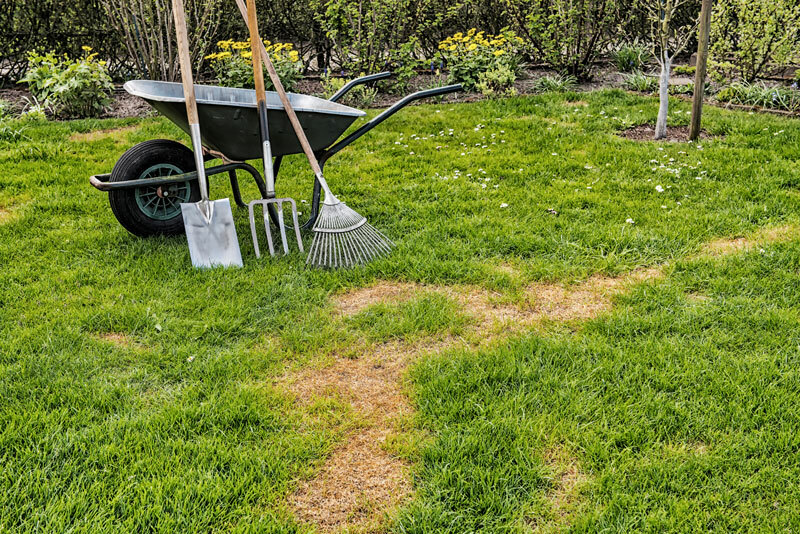 Considering the unusually rainy spring and summer we’ve had so far in upstate New York, it’s doubtful that your lawn has bare spots due to dryness. But if there is a dry spot, it’s an easy fix – just be sure to water frequently, in addition to reseeding to improve thickness. If the bare spots are due to overfertilizing or lawnmower damage, you will see them appearing uniformly across the lawn. For damage caused by overfertilizing, reseed the bare spots and do not add additional fertilizer until the lawn heals itself. For lawnmower damage, be sure your lawnmower blades are sharpened regularly, and keep the blades raised high enough from the ground when you mow. Grubs or other insects can wreak havoc on your lawn, as well. Grubs, curling white worms, are a common problem in mid to late summer, and most easily identified when your sod easily pulls back from the ground like a carpet. More than ten grubs per square foot can cause lawn damage. Grub control products are available at your local GNH. Pet or backyard animal urine can create bare spots of yellowed-grass with a brighter ring of green around them. These can be repaired following the steps below, but to prevent future damage you will want to train your pets to do their business elsewhere. Likewise, foot traffic must be redirected to allow these spots in your lawn to heal. 1. Break Up the Bare Spot and Reseed. Use a small gardening shovel or rake to break up the dry spot on your lawn. Remove any rocks, leaves or debris. Choose the appropriate grass seed for the spot’s shade density (such as Scott’s Turf Builder seed varieties, available at GNH) and cast the seeds over the turf. Spread about a half an inch of compost or topsoil on the strewn seeds. Tip: To get good seed-to-soil contact, gently rake the seeds and soil into the grass. Water the area immediately, and then continue to water lightly three times a day for 7-10 days. When you can see the new grass sprouting, reduce watering to once daily. Tip: After the new grass emerges, less is more. A good, thorough soaking rather than a quick watering ensures that the water gets down to the root system. This helps roots grow strong and deep for a thick, more drought-resistant lawn. 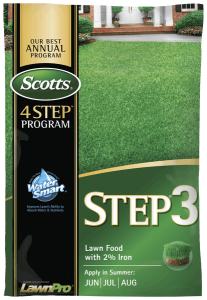 To encourage the new growth, and keep your whole lawn looking its best, add a gentle lawn fertilizer to the spot, like Scotts Step-3 Lawn Fertilizer, available at GNH! Tender seedlings, as well as existing grass, need nutrients to help grow thick and strong. 4. Kick Back & Enjoy the Results! Repairing bare spots in your lawn is a quick and easy project that reaps many rewards. It’s the perfect weekend task that you can finish in no time, so you can get back out in the hammock and enjoy the results! 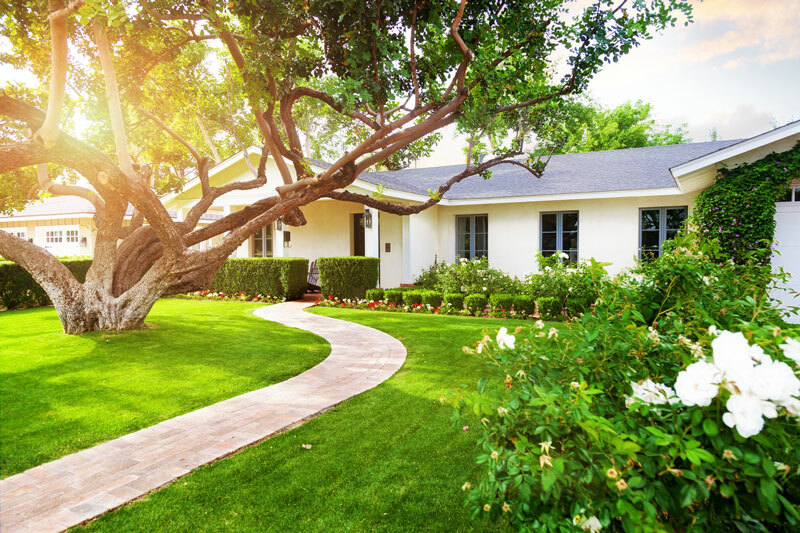 Don’t forget to improve the lushness and color of your whole lawn (and reduce the chance of future damage) with regular feeding and proper maintenance. At GNH Lumber, we have everything you need to create your beautiful backyard oasis. For guidance, tips and ideas, stop in to our Greenville or Windham locations, or visit us today online!